Home / EN / Event / ICA / Innovative Craft Award / SACICT / Combining crafts with industrial processes and submit works to participate in the Innovative Craft Award 2018 (ICA 2018) now until 31 March 2018. Combining crafts with industrial processes and submit works to participate in the Innovative Craft Award 2018 (ICA 2018) now until 31 March 2018. 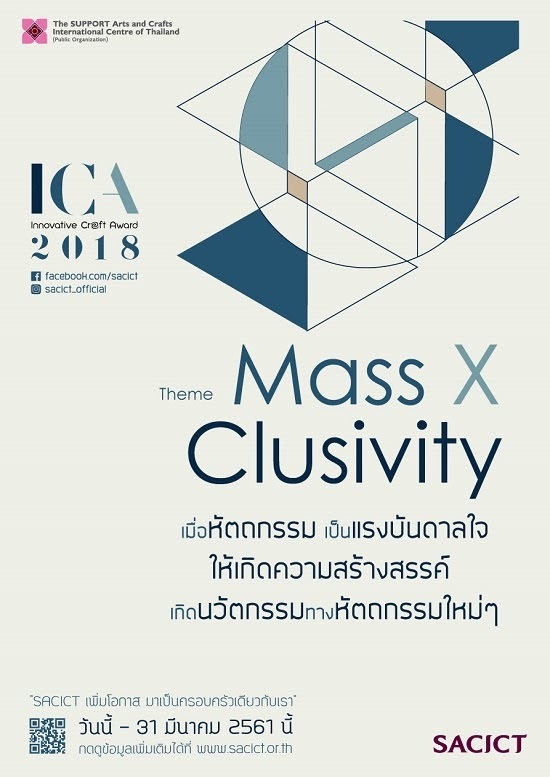 To promote creativity and craftsmanship among professionals and enthusiasts, the Support Arts and Crafts International Center of Thailand (Public Organization) or SACICT is organizing Innovative Craft Award 2018: "MASS x CLUSIVITY”, a competition designed to put forward and reinforce the concept. The competition is aimed at finding designs that demonstrate a combination of craftiness and innovative industrial or commercial use. Such works are required to be more “accessible” to the general public while maintaining identities, charms and creative craftsmanship. Interested designers and parties are cordially invited to submit their designs to win the honorable certificates and prizes worth over 160,0000 baht. Designers, students and interested persons can submit their ideas in the forms of hand-draft designs or computer-generated craft designs. The submitted ideas must be for household uses or decorative purposes. 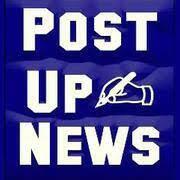 There are two categories – competition among the general public and competition among students. The competition is open for both solo contestants or groups but the works must not have entered any competition before. Submitted works should showcase beauty and outstanding designs. Moreover and importantly, the designs must be realistic enough to be able to be produced for commercial purposes. Finalists will be given financial support to turn designs into craft products for final-round contests. Apply now or before 31 March 2018. Interested persons can download the application form at http://sacict.or.th . The submissions can be made online at http://sacict.or.th and via traditional post services by sending the entries to the Support Arts and Crafts International Center of Thailand (Public Organization) 59 Moo 4 Tambon Chang Yai, Bang Sai, Phra Nakhon Si Ayutthaya 13290. Postal entries should have a mark “ICA 2018 application” at the corner of the envelop. Join us in cherishing values and skills of craftsmanship and adding values to creative crafts with innovation to expand the horizon of Thai handicrafts. See you at ICA 2018.